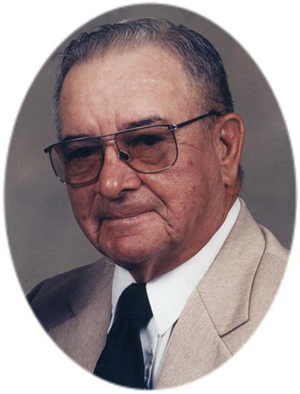 Obituary – Carparis, Jack LaMarr « Perry High School Alumni Association, Inc.
Jack L. Casparis, 82, of Morrison, Oklahoma was born to J. Lambert and Mary M. Shea Casparis. He was born December 23, 1927 in Perry, Oklahoma and died Tuesday, August 31, 2010 in Tulsa, Oklahoma. He attended school in Perry and graduated from Perry High School in 1945. He then joined the United States Air Force in 1945. He served his country for three years and was honorably discharged in 1948. Jack married Josephine M. Craig on March 27, 1951 in Perry, Oklahoma. They were blessed with two children. She preceded him in death on January 11, 2002. He was a member of the Morrison Christian Church. Funeral services will be 10:00 a.m. Saturday, September 11, 2010 at the Morrison Christian Church. Pastor Roy Fleshman will officiate. Services are under the direction of BrownDugger Funeral Home. Visitation will be Friday and Saturday, September 3 and 4, 2010, from 8:00 a.m. to 8:00 p.m. Memorials may be made to the Morrison Christian Church in care of BrownDugger Funeral Home, 1010 N. 7th Street, Perry, Oklahoma 73077. Jack is survived by his son, Jeff Casparis of Coweta, Oklahoma daughter, Jan Thomas and her husband, Stanley, of Morrison, Oklahoma four grandchildren, Brian Burton and his wife, Susanne, of Boomer, North Carolina, Brandy Burton of Morrison, Oklahoma, Shea Lynn Burton Kennedy of Fredericksburg, Virginia, and Eran Dalene Farrow of Bristow, Oklahoma eight greatgrandchildren, Alex, Ryan, Phoenix, Jonas, Jaycie, Josie, Rockie and Brandon sister, Barbara St. Clair and her husband, Tolbert, of Perry, Oklahoma, and many nieces, nephews, cousins and friends.